SPRINGFIELD, Mass. 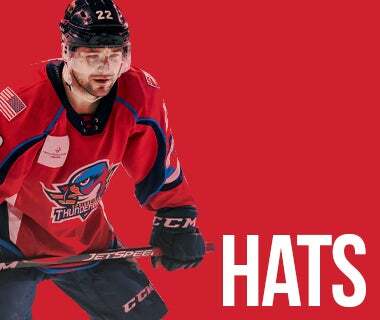 – The Springfield Thunderbirds, proud AHL affiliate of the Florida Panthers, on Thursday announced their exciting promotions and theme nights for the 2018-19 season, presented by MGM Springfield. Building upon the excitement of a record-breaking second season, the Thunderbirds will be adding even more special events to the calendar, with a focus on family-friendly and community-driven initiatives. 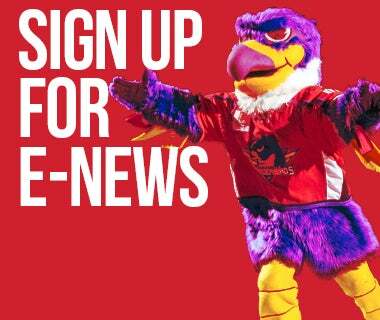 Thunderbirds fans will have the ability to purchase single game tickets to regular season games beginning on Monday, Sept. 17. The third season of Springfield Thunderbirds hockey begins on Saturday, Oct. 13 for Opening Night presented by MGM Springfield, which will feature a “white-out” as everyone in attendance will receive a rally towel. For a third straight year, fans will be treated to a pregame Block Party from 3:30 - 6:00 PM presented by Community Bank, featuring a live music performance from Unusually Normal. For the first time, MGM Springfield will play host to the party at their brand-new outdoor plaza. In addition to the customary activities, this year’s event will feature a “premiere-like” feel as the 2018-19 Thunderbirds team will be introduced and featured through a red-carpet entrance. The midpoint of the season will also provide a lifelong memory for Thunderbirds fans of all ages as the AHL’s brightest stars shine down on Springfield in the 2019 Lexus AHL All-Star Classic, presented by MGM Springfield. For the first time in over half a century, downtown Springfield will play host to the league’s showcase event. The two-day extravaganza features the AHL All-Star Skills Competition on Sunday, Jan. 27 and the AHL All-Star Challenge - a round robin, 3-on-3 tournament - on Monday, Jan. 28. 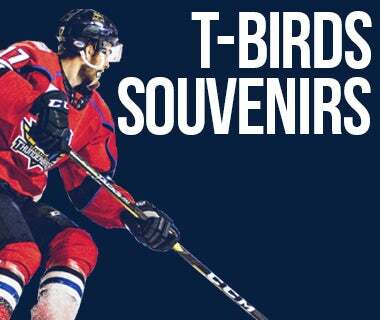 On top of the promotional schedule details, the Thunderbirds have also unveiled their 2018 Opening Night packs, which start at $90 in the Attack Zone sections and $105 in the Center Value Zone sections. Fans who purchase a pack will receive two (2) tickets to Opening Night on Oct. 13; four (4) vouchers redeemable at any regular season game in 2018-19 (subject to availability); one (1) All-Star Classic commemorative puck; and one (1) Big E admission*. The Thunderbirds will be debuting a number of new promotional themes in the opening months of the campaign that are sure to catch fans’ eyes. 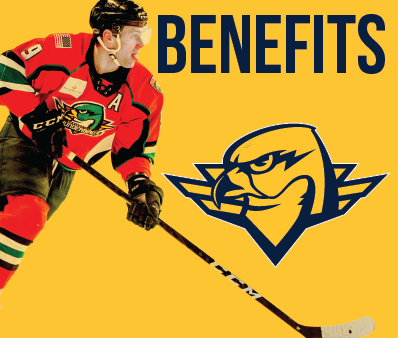 It begins on Saturday, Oct. 27 versus the Providence Bruins with the 1st Annual OkT-BIRDfest presented by Spectra Food Services, the first-ever beer tasting festival at the MassMutual Center, inspired by German Oktoberfest. The first 2,500 fans through the doors will receive a specialty Thunderbirds beer stein. The event will run before the game that night, with a number of craft brew options that will be available for fans aged 21 and over, including: Jack’s Abby, Mayflower, Cape Ann, Abandoned Building, Riverwalk, White Lion, Artifact Cider Project, Lagunitas New City, Amherst, Back East, Harpoon, and more still to be announced! On Saturday, Nov. 17, the MassMutual Center will take on a Hogwarts feel for the first-ever Harry Potter Night in Springfield. Young wizards in attendance will have the chance to be placed in their favorite house, as the Sorting Hat will be appearing on the concourse. In addition, fans can get up close and personal for photos with a number of animals who will serve as symbols of the magical creatures from the book series, including an owl, baby alligator, tarantula, ferret, snake, and a bearded dragon. A week later, the Thunderbirds will take to the ice in honor and memory of those who have battled cancer. Saturday, Nov. 24 will serve as Hockey Fights Cancer™ Night. To mark the occasion, the Thunderbirds will wear lavender-colored specialty jerseys for the very first time, signifying the fight to end all cancers. The 2018-19 season marks the first time the AHL will join the NHL for this initiative; Hockey Fights Cancer™ unites the hockey community in support of cancer patients & their families. 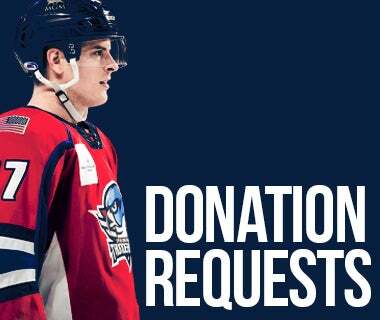 The initiative gets an assist from players, coaches, officials, broadcasters, equipment managers, front office staff, corporate partners & fans. Together, the hockey community looks to inspire hope and courage for those who are living with, going through & moving past cancer. 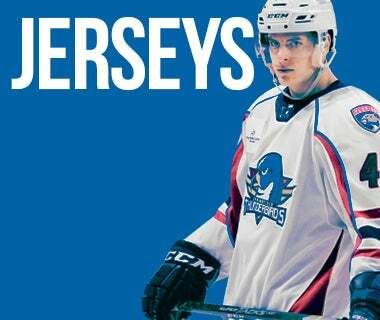 Hockey Night in Springfield / Youth Jersey Giveaway presented by Columbia Gas of Massachusetts - Sat., Feb. 16, 7:05 p.m. - in celebration of Hockey Weekend Across America, and with the defending Calder Cup champion Toronto Marlies in town, this evening will double as a tip of the cap to Hockey Night in Canada. The first 1,000 kids 12 & under in attendance will receive a T-Birds youth jersey as a giveaway item. Stay tuned for even more surprises that may make their way inside the Thunderdome this upcoming season! Besides the Hockey Fights Cancer™ lavender jersey in November, the T-Birds will wear specialty sweaters on two other occasions during the 2018-19 season. The team’s first home game of 2019 will feature another installment of the iconic Springfield Indians jerseys when the T-Birds host the Providence Bruins on Saturday, Jan. 5 at 7:05 p.m. as part of the 2nd Annual Blast from the Past Night presented by MassMutual. Another of the returning favorites in the jersey category is the T-Birds’ pink sweaters for the 3rd Annual Pink in the Rink Night presented by Baystate Health to benefit Rays of Hope, taking place on Saturday, Mar. 9 at 7:05 p.m. ET. As in years past, breast cancer survivors will take center stage on pink ice in a powerful pregame ceremony celebrating their victories against the dreaded disease, in addition to a number of other activities throughout the evening. The Thunderbirds and the Springfield Parking Authority have, for a third straight year, collaborated to offer FREE PARKING exclusively at the Civic Center Garage on a first-come, first-served basis on game nights throughout the season. 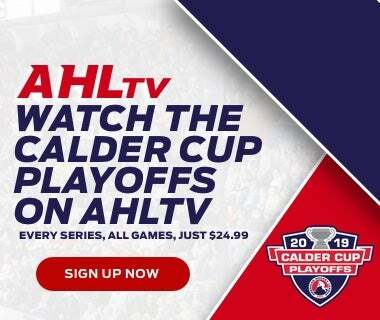 Another returning game-night promotion is the extremely popular 3-2-1 Fridays. From the time doors open through the end of the first period, fans can purchase select $3 Coors Light drafts (12 oz), $2 hot dogs, and $1 sodas. Thunderbirds Full Season and 22 Game ticket members will also be able to get these great drink specials once again at every game this season by showing the brand new Ticket Holder Challenge Coin at purchase. Also on all Friday game nights, the Thunderbirds will once again be showcasing the MGM Springfield Pregame Concert Series. Local artists of Springfield and the Pioneer Valley will be spotlighted on the main concourse of the MassMutual Center before each Friday home game, with concerts beginning at 6:00 p.m. ET. 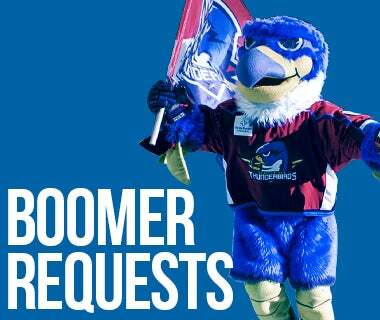 The T-Birds will also make Sundays all about families with the return of Sunday Fundays. 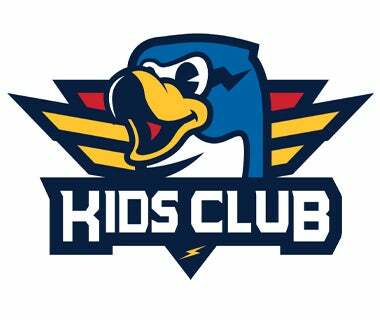 For each of the Thunderbirds’ six Sunday 3:05 p.m. games, a family of four will have the ability to purchase a package of four tickets, four hot dogs, four small popcorns, four small sodas, starting from just $60. In anticipation of what would be a third straight Opening Night sellout crowd, the Thunderbirds will kick the season off in red-carpet style with pregame block party festivities being hosted in the plaza at the newly-opened MGM Springfield. Fans are encouraged to arrive early and enjoy live music from Unusually Normal. As the Thunderbirds’ players arrive for their first home game of the season, they will take a stroll down the red carpet at MGM Springfield. This never-before-seen spectacle will give T-Birds fans a unique glimpse into the 2018-19 Thunderbirds team outside of the rink before they take the ice for the home opener. When the action heads inside to the MassMutual Center, the fans in attendance will receive a pair of giveaways in the form of white T-Birds rally towels on each seat and a special edition T-Birds schedule cling upon their departure at night’s end. The pregame festivities will include a spectacular light show and new in-game features to match the high-energy atmosphere of the evening. One of the newest promotions in team history, the Thunderbirds will transform the Thunderdome into a German beer hall as a special pregame beer tasting event will take place outside the MassMutual Center, and the first 2,500 fans in attendance that night will take home a one-of-a-kind Thunderbirds beer stein. With tickets starting at just $25, fans will have the chance to guarantee the Thunderbirds beer stein, as well as a chance before the game to taste one of a number of specialty craft brews in the spirit of German Oktoberfest, including Jack’s Abby, Mayflower, Cape Ann, Abandoned Building, Riverwalk, White Lion, Artifact Cider Project, Lagunitas New City, Amherst, Back East, Harpoon, and more still to be announced! After introducing the School Day Game to Springfield in 2017, the Thunderbirds are bringing it back for the new season. Students from the area will have a chance to have hockey in their curriculum for a day with links between the blue line and the classroom throughout the morning. Wizards and witches will be present inside the Thunderdome in celebration of the award-winning book series by J.K. Rowling. Hogwarts wannabes, both young and old, will have a chance to get their picture taken with the Sorting Hat, as well as being graced with the presence of the different house animals including an owl, tarantula, ferret, (baby) alligator, snake, and a bearded dragon. The Thunderbirds will be one of a handful of AHL teams to join the National Hockey League in support of the Hockey Fights Cancer™ initiative. Springfield will be wearing specialty lavender jerseys in honor and memory of cancer patients who are currently fighting the disease and those that are no longer with us. The lavender jerseys will also be auctioned to benefit the cause. More teddy bears and assorted stuffed animals will come pouring down onto the MassMutual Center ice in celebration of the T-Birds’ first goal on Dec. 8 against Charlotte. Just as was the case in 2016 and 2017, the stuffed animals that rain down during the celebration will be handed to children undergoing tough times this holiday season. Past benefactors have included the Boys & Girls Clubs, Ronald McDonald House, and Square One. 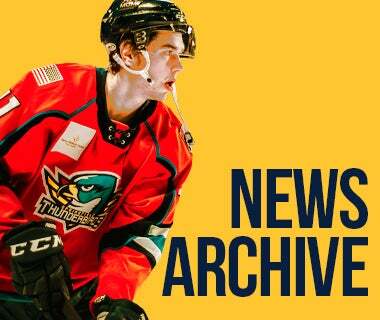 The Thunderbirds will hit the rewind button to the 1990s as they take the ice in yet another iteration of the classic Springfield Indians jerseys for Blast from the Past night. These highly-coveted sweaters will again be up for grabs via auction! Not all heroes wear capes, but all heroes will be recognized for Marvel™ & Hometown Superheroes Night. Black Panther™ and Captain America™ will be among the heroes present for meet & greets, in addition to the Pioneer Valley’s everyday heroes. Springfield police, fire, and first responders will be honored throughout the evening, appearing alongside the emergency vehicles of the respective departments. Boomer Bobblehead collectors will want to have March 1 circled on their 2019 calendars - the third installment of the beloved T-Birds mascot in collectible form! The first 2,500 fans through the doors that evening will take home the third version of this must-have souvenir! The men and women who sacrifice so much for the betterment of our country will be honored before and during the Thunderbirds game on March 2 against Providence. The Thunderbirds will honor and thank military members from all branches of the service through special pregame ceremonies and other in-game presentations. Military vehicles will also be present that evening to add to the atmosphere of the night’s game elements. Another of the annual traditions in Thunderbirds lore, Pink in the Rink returns for a third straight year in conjunction with Baystate Health and the Rays of Hope Foundation. Before the puck is dropped, players and fans will stand witness to some of the most valiant fighters in the Pioneer Valley - our area’s own breast cancer survivors - during a touching pregame ceremony. The Thunderbirds will again sport a specialty pink jersey and skate on pink ice to support the brave women who have gone to battle with breast cancer. Jerseys will then be auctioned with proceeds benefiting the Rays of Hope Foundation in conjunction with Baystate Health. For the third straight season, the Thunderbirds will invite their barking friends for a special dog-friendly day at the rink, presented by Dave’s Soda & Pet City. A portion of each dog ticket purchased that evening will benefit the Foundation for TJO Animals. Additionally, the first 1,000 dog owners in attendance will receive a special edition T-Birds dog bandana. The Thunderbirds will once again make Sundays all about family fun in 2018-19. A family of four will have the ability to purchase packages that include: four tickets, four hot dogs, four small popcorns, four small sodas – as part of the Sunday Funday pack. These affordable packages are priced at $60 in the Defense zone (sections 28-31, 1-5), $70 in the Attack zone (sections 13-20), and $80 in the Center Value area (sections 6-7, 11-12, 21-22, 26-27). The Sunday Funday packs will be available for purchase up to 24 hours before Sunday game times at the MassMutual Center and on the team website. All Sunday Fundays will also feature a postgame skate on the MassMutual Center ice for fans in attendance* (fans must bring their own skates). The Thunderbirds’ Wednesday games could result in more victories than just on the ice during Winning Wednesdays. Should the Thunderbirds win on a Wednesday (or on Monday, Jan. 21), any fan with a ticket to the winning game will receive a free ticket to the following Wednesday game on the season schedule. Saturday, Apr. 13 vs. PRO: Fan Appreciation Weekend Giveaways / Pregame Block Party presented by Community Bank / Mystery Promotion - Stay Tuned for Details! 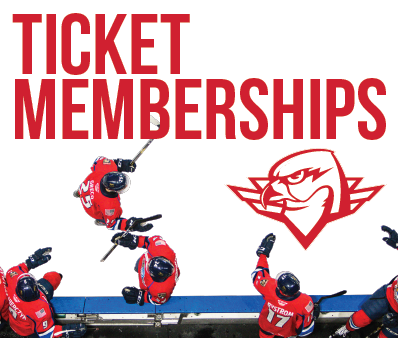 Springfield Thunderbirds fans are encouraged to visit www.SpringfieldThunderbirds.com to learn more about Thunderbirds Season Ticket Memberships. Packages start at $12 per game and feature the most benefits, including an exclusive commemorative jersey. Single game tickets for the Thunderbirds’ 2018-19 regular season will go on sale beginning Monday, Sept. 17. More information will be announced at a later date. 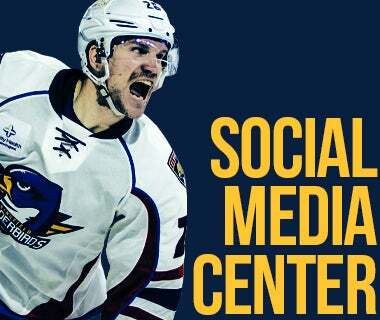 For more details and to inquire about Thunderbirds tickets, fans may call the Thunderbirds office at (413) 739-GOAL (4625).